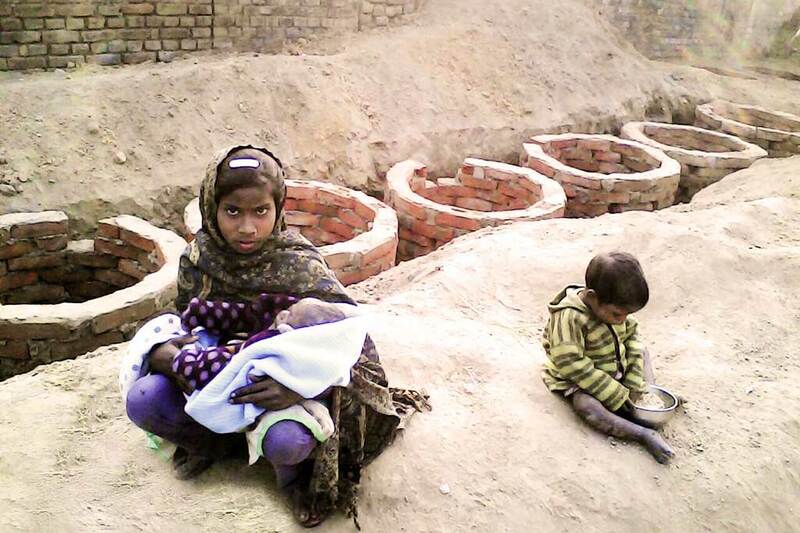 In our Musahar community in Bihar, people have nearly completed the construction of 28 toilets. AMMACHI Labs is encouraging the shift from open defecation towards toilet usage in Ratanpur. The Musahars are known as one of the lowest income communities in all of India and extreme poverty is often statistically linked to lack of sanitation. However, the change to toilet use is something that must be done with respect for the local culture. Even if toilets are available, people still need to be convinced to refrain from open defecation and use them. A preference for open defecation may be due to traditional practices or lack of access to toilets, or both. The key is to make people aware that use of toilets is a critical way to prevent severe—even life-threatening—illness. In this case, AMMACHI Labs began an awareness campaign with the women in the village as to why learning construction would help them with both skills training and sanitary safety. AMMACHI Labs also lead the construction of the first set of toilets. The women were empowered and now have also received government funding from Swach Bharat Mission to carry out further toilet construction. The current plans have the goal of building 65 overall. About one billion people, or 15 percent of the global population, practise open defecation. India has the highest number of people, around 490 million. This is nearly a third of the country’s population.